The debate around AI in HR and the future of work intensifies as technology continues its rapid advance. How can the UK make better use of technological advances to solve its productivity problem? Last year, McKinsey reported that up to 60% of today’s jobs contain 30% of activities that could be automated, and that half of today’s jobs could be significantly impacted. The Resolution Foundation estimates that 10-35% of current jobs in the UK could be automated by 2030; sectors such as retail could lose as many as one in three jobs. Meanwhile, others talk about the many new jobs that will be created and point to the trends of the past and the current high levels of employment. In the US, the Bureau of Labor Statistics predicts that, up until 2026, the US labour market will see a structural employment decline equating to 1.4 million redundant jobs, but employment growth of 12.4 million new jobs. Today’s technology differs from that of the past – in its reach across all sectors and skill levels – augmenting human capabilities and enhancing organisations’ effectiveness. We are entering the fourth industrial revolution. Some sectors, such as logistics and many areas of manufacturing, have invested heavily in automation and robotics, greatly reducing the dependence on labour. By contrast, the services sector, which relies more on people skills, is just beginning to feel the impact. Unfortunately, the UK lags behind in terms of investment in workplace technology, having perhaps become too reliant on a highly flexible and available labour supply chain. This plays out in its relative productivity performance. The Institute for Public Policy Research estimates that capital investment in low-wage industries in the UK, as a percentage of output, is around 14%, compared to 15% for France and more than 20% for Germany. In manufacturing, the UK has about half as many robots as France or Italy, a third of the number in Germany and Japan and one sixth of South Korea’s total. Whether or not you believe that technology will decimate jobs and see the need for solutions such as universal basic income, several conclusions become clear and can give us a basis for action. First, skills shortages are already of great concern across many sectors from transportation, construction, and hospitality to high tech, and from trade skills to professional skills. In ManpowerGroup’s 2017 Talent Shortage Survey 40% of employers reported difficulties finding the skills they needed. Without intervention, this trend will only worsen. In recent research around the future of jobs, the World Economic Forum found that, by 2020, more than a third of the desired core skill sets of most occupations will be comprised of skills that are not yet considered crucial to the job today. Second, despite high employment, wages have been stagnant for a number of years. Skills mismatches and wage growth are connected. Polarising job market trends show that the number of low-skill jobs is increasing, while mid-skill jobs are reducing and the demand for high-skill jobs is growing. The 2017 OECD Employee Outlook report found that across OECD member countries, the share of workers in mid-skill jobs fell from 49% in 1995 to under 40% in 2015. These trends have become more pronounced in the past decade, at a time when most economies have continued to invest in higher levels of education. More than one in four adults reported a mismatch between their current skill set and the qualifications required to do their jobs, says the OECD. Increasingly, human skills such as creativity, judgement, collaboration and empathy are being identified as those we will all need alongside the analytical skills of machines. 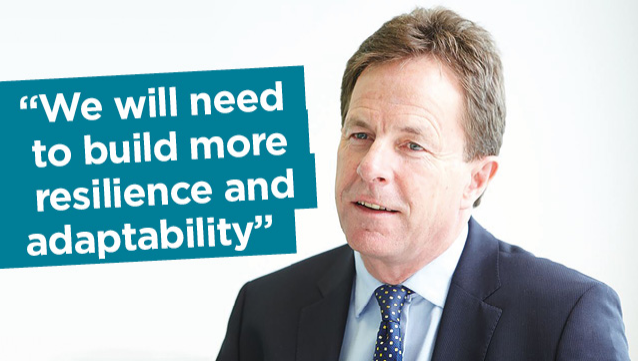 We will also need greater resilience and adaptability, not just in terms of rapid upskilling and reskilling, but around mindset and support systems: lifelong learning, funding for training and provision of basic financial security, as people move more frequently between jobs, roles and ways of working. Increasing inequities in rewards must be addressed with machines displacing labour. Bill Gates’ idea of taxing robots may not seem offthe-mark in the future.